I love surprises, especially when you arrive at an event to find the main sponsor has chosen one of your photographs to represent them and the event. 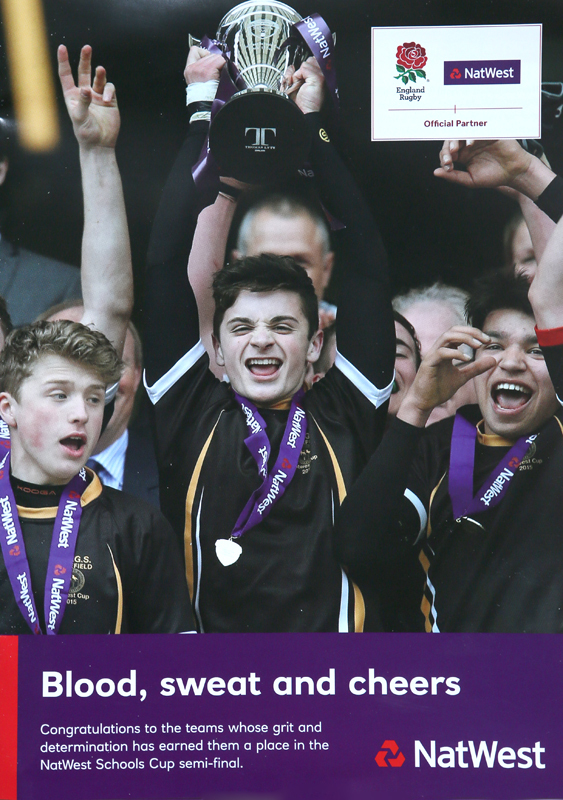 This celebration photograph shows the Queen Elizabeth Grammar School (Wakefield) U15’s rugby captain raising the NatWest U15 Schools Cup trophy at Twickenham last year. You only get one chance to capture the moment of joy when the captain lifts the trophy high into the air at one of the worlds greatest stadiums. From this photo, you would never guess that I was 30ft down and 30ft away from the presentation gallery. Shot using Canon EOS1Dx, 400 f2.8 lens.